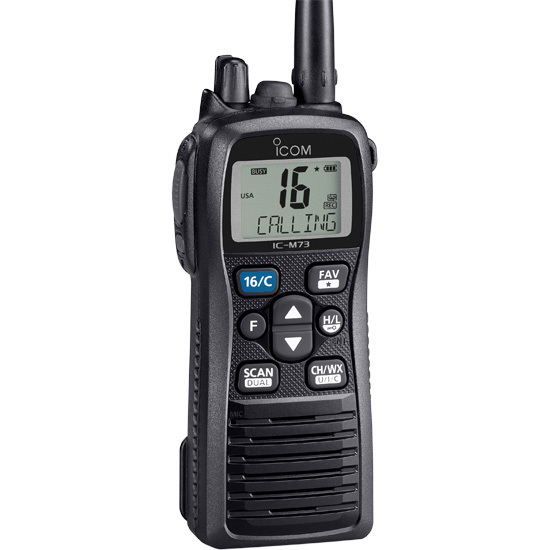 The M73’s ergonomic design fits easily in the user’s hand and is a rugged, durable radio. 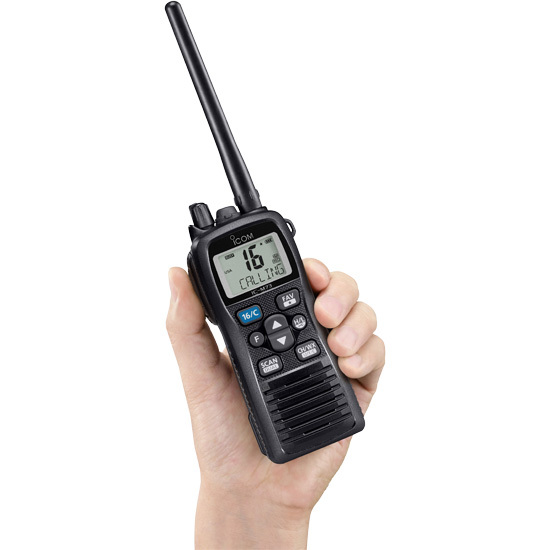 The large screen and high intensity LCD offers bright, easy to read characters. Yacht customers benefit from the optional VOX headset and adapter option that allows someone handling dock lines to use both hands, while docking the boat, simultaneously communicating with the captain. The M73 uses a BTL (bridge-tied load) amplifier that doubles the audio output. Its internal speaker delivers a loud 700mW audio output with clear sound. Active noise cancelling to reduce background noise to hear conversations better. Bass boost function provides a rich bass sound for both transmit and receive signals. Last call voice recording automatically saves the last incoming call for one minute. You can also start recording manually.